NF (5654) - Hurlde 5700 & 5750-5770 below that come down to 5600 & 5555-5535. AXISBANK (1202) - See 11th Jan post no need to repeat. 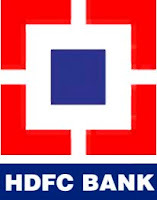 HDFCBANK (2050) - No need to repeat, see 11th Jan post. the levels still maintained. M&M (740) - Last hope 730-720 but below that come down to 688-680. MARUTI (1270) - As posted on 06th Jan, range 1375-1475 If trade below this range, expect Rs.100/- fall. as expected already it came down to 1263. Now what next ? Below 1300, fall continue 1200-1190.